The Queen Victoria Niagara Falls Park was created and designed to generate sufficient funds in order to pay for the cost of running the park and making improvements. The income revenue was considerably less than was expected. 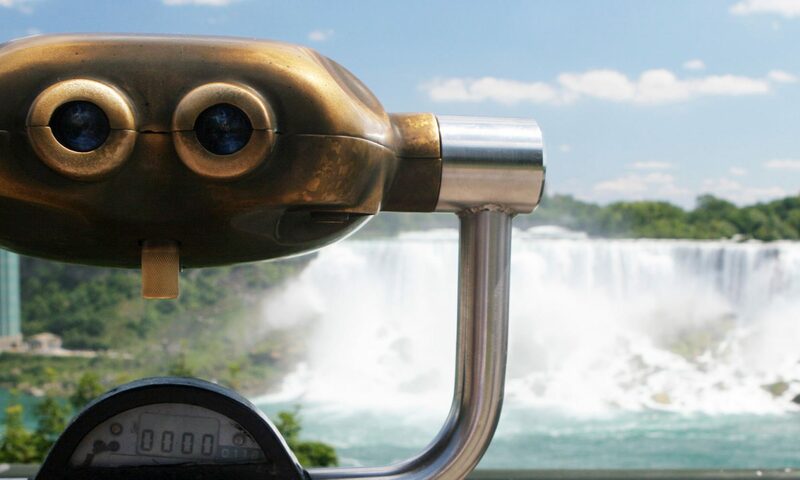 In order to compensate for this deficit and to generate new capital, the Queen Victoria Niagara Falls Park Commission decided to franchise facilities and attractions in order to generate income. On December 4th 1891, the first such source was the lease given to a private company to operate the Queenston to Chippawa Electric Railway. On May 24th 1893, the Niagara Falls Park and River Railway began operation between Queenston and Queen Victoria Park. In 1894, the track was doubled. A hydraulic lift was built to replace the Saul Davis’ old stairway leading to the "Behind the Sheet" attraction. Guides were hired to assist tourists. In 1889, a lease was given to Samuel Barnett to operate a restaurant in the former Museum building. John Zybach was awarded a franchise for photographic rights at Table Rock. Zybach later joined J.T. Brundage in operating the "Behind the Sheet" attraction, hydraulic lift, museum, restaurant and photograph for a ten year period. The largest revenue source came from the leasing of the water rights along the Canadian shore for Hydro Electric Generation. Originally, American Companies were awarded leases to build power plants and generate hydro electric power before the creation of Ontario Hydro. The first power stations included the Ontario Power Company and the Toronto Power Company. Today the largest revenue source for the Niagara Parks continues to be through the generation of hydro electricity by Ontario Hydro. Since their slow beginnings, the financial affairs of Niagara Parks Commission have evolved to where today in 1997 it generates an annual gross income of $60 million dollars. Today the Niagara Parks Commission employs nearly one thousand people and has an annual operating budget of $33 million dollars.